Volkswagen has slipped back to second place in the list of the world’s top car makers for the first nine months of the year. The German giant – under fire for cheating on US emissions tests – had been in top spot for the first half of the year, overtaking Japanese rival Toyota. But for the January to September period it sold 7.43m vehicles, flat on the previous year and behind Toyota on 7.5m – though Toyota sales were lower year-on-year. America’s GM, in third place, was also down on the year before. 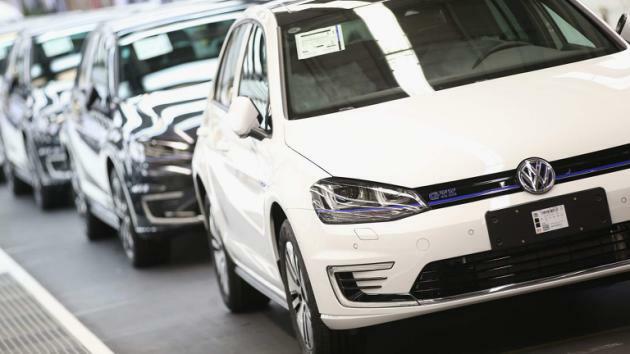 Volkswagen sales had appeared to have strong momentum with growth in a number of global markets, but it is feared the emissions scandal could put the brakes on its progress. Detroit-based GM was the top-selling car firm for more than seven decades until being surpassed by Toyota in 2008. GM retook the sales crown for one year in 2011, when a tsunami and earthquake struck northeastern Japan, disrupting production. Toyota made a big comeback in 2012 however, and has been top for the past three years. Last year, Toyota, which makes the Prius hybrid, Camry sedan and Lexus luxury models, sold 10.23 million vehicles. Volkswagen sold 10.14 million. It makes the Beetle and Golf cars, and also has the Porsche, Bugatti and Audi brands. GM, which makes Cadillac and Opel cars, was third at 9.92 million vehicles globally.